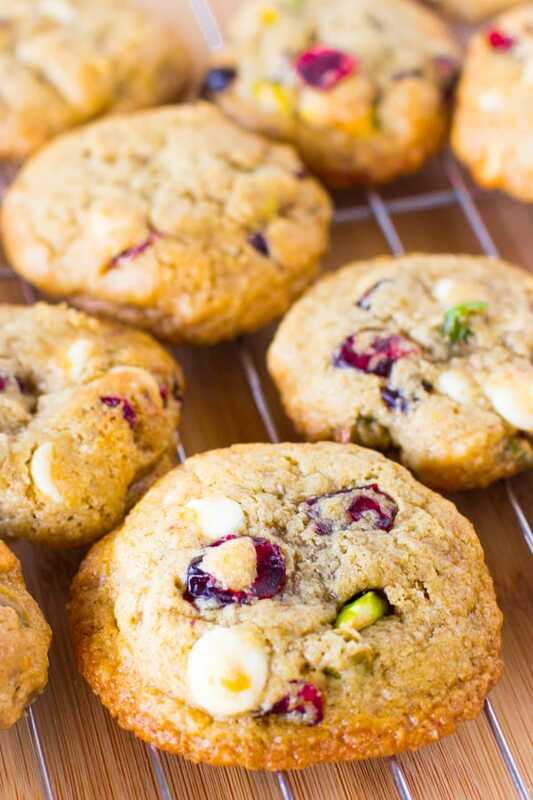 These Gluten Free White Chocolate Cranberry Pistachio Cookies are soft, chewy and so easy to make! They’re so delicious and gluten free! Today is my last day of work until January! I’m SO excited because that means ENDLESS days of cooking preparing for January! Okay, if you’re not a food blogger you may be thinking…um, what? It’s true, we really do look forward to these things, and I love being in the kitchen all day with no pressure on me. I’m also a bit too excited, but it’s the little things in life! More little things in life that excite me? These cookies. 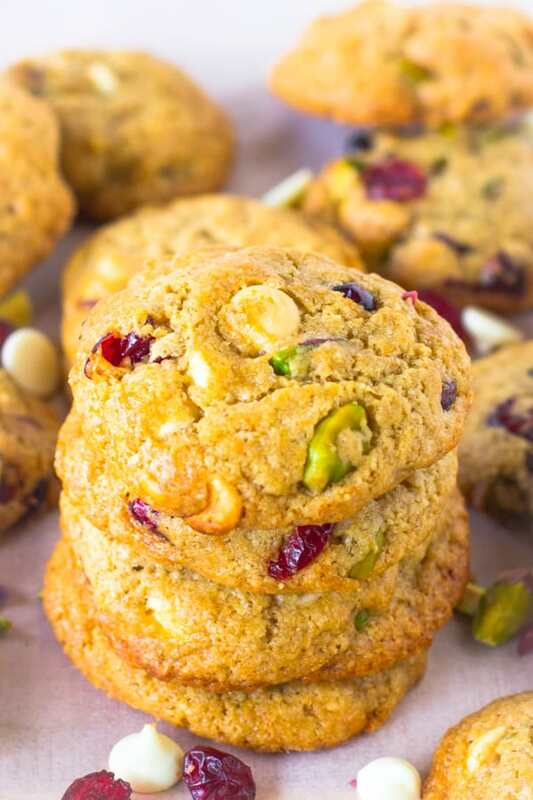 These soft and chewy and buttery cookies packed with delicious white chocolate chips, salty pistachios and chewy tart cranberries. These cookies that are like little pieces of heavenly bliss that disappeared pretty quickly. I’m in LOVE with these cookies. Consistency wise, these cookies are soft yet chewy at the same time. The chew is so slight yet deliberate that you have to pause after your first bite to contemplate what just happened in your mouth. Can you tell that I get excited over food descriptions? I brought them to the office and was so pleased that even the non-nut eaters loved them! I would definitely add this to your list of cookies to make for this Christmas and I definitely will be adding them to my Christmas day list. In a large bowl of a hand-held or stand mixer with a paddle attachment, mix the butter on medium speed for 1 minute until smooth. Add the brown sugar and mix for about 3 minutes, scraping down the bowl every minute until incorporated, light and fluffy. Add the egg and mix for 30 seconds, scraping down the bowl. Add the vanilla and mix for 30 seconds. In a separate medium sizes bowl, whisk the oat flour, xantham gum, baking soda and salt together until combined and there are no lumps. Add the dry mixture one cup at a time to the wet mixture and mix on low speed until incorporated. 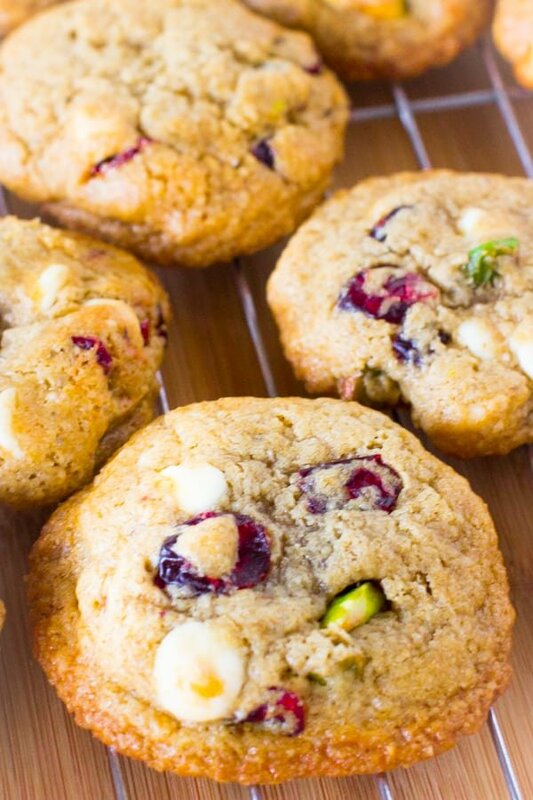 Turn off the machine and fold in the white chocolate chips, cranberries and the pistachios with a spatula. Cover the dough with plastic wrap and chill for 2-4 hours in the fridge. Preheat oven to 350 degrees Fahrenheit. Remove the dough from the fridge..
Line two large baking sheets with silicone baking mats, or parchment paper. * Using a tablespoon scoop (spray it with cooking oil so it doesn't stick) Scoop the dough into balls, rolled between your hands (also sprayed) and continue until you've done all of the balls. Leave a bit of space in between each cookies, about 3 inches. Ensure the cookies are still cold when going into the oven so they get high and fluffy and not thin and flat. Bake for 11-13 minutes until the cookies are slightly golden brown. Remove from oven and allow cookies to cool for 5 minutes before removing from sheet (they will be very soft straight out of the oven but firm up when cooled a bit). You can make these cookies using regular unrefined all purpose flour. Just swap it equally for the oat flour and do not add the xanthan gum. *Xanthan gum in gluten free baking helps to increase the thickness of the recipe. Here it contributes to holding the cookies together and their chewiness. Why I used vegan butter – Vegan butter provides nutritional value while remaining healthier than regular butter. It also makes recipes that would traditionally upset person’s with dairy intolerances to enjoy them! If you don’t have vegan butter you can use regular butter at room temperature. 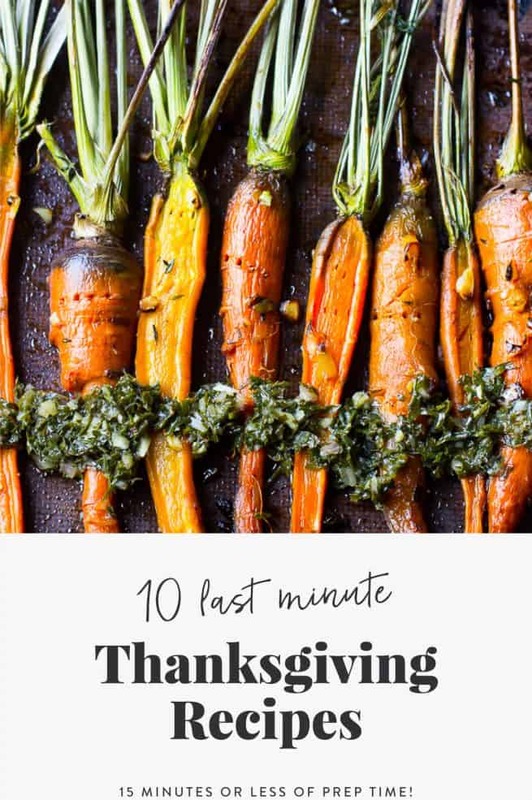 *I have used both silicone baking sheets and parchment paper, and the difference is astounding. The cookies on the silicone sheets were higher, thicker and softer. The cookies on the parchment paper were flatter, thinner and a little bit chewier. I would highly recommend purchasing a silicone baking mat! I love that these are flourless. They look so healthy yet delicious! Fantastic flavor profile, Jessica! I am looking forward to trying 100% oat flour in my cookies too…. very exciting! Wishing you a fantastic holiday season and fun in the kitchen until January! Can’t wait to see what you’re working on! These cookies do look absolutely delicious, Jessica! Perfect for the holidays! I love that these are flourless. I adore the flavors together too. Beautifully chewy cookies for the holidays! Gah – pistachios, cranberry and chocolate is seriously one of the best combos. These cookies look fantastic! OMG these look sooooo sooooo good and I LOVE this flavor combo! 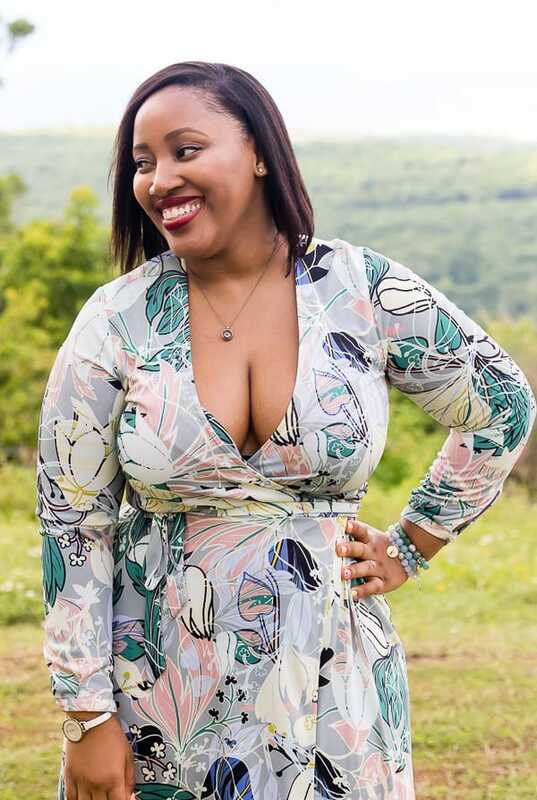 Absolutely gorgeous Jessica! oh wow these look fantastic Jessica!! You had me at ‘flourless’! What beautiful cookies…these just sound irresistible! These look really delicious, Jessica! And with the healthy touches like the oat flour, I could see having them around. Maybe I should just show the recipe to my son who loves to bake and see what happens…..
Aww thank you so much!! Yes, you definitely could! I would recommend a 1:1 Baking Flour mix, or quinoa flour + xanthan gum. Coconut flour would be too thick, and almond flour too mealy. I hope that helps and that you enjoy!! Merry Christmas when it comes! !